This fire extinguisher sign should be used to highlight AFFF extinguishers. 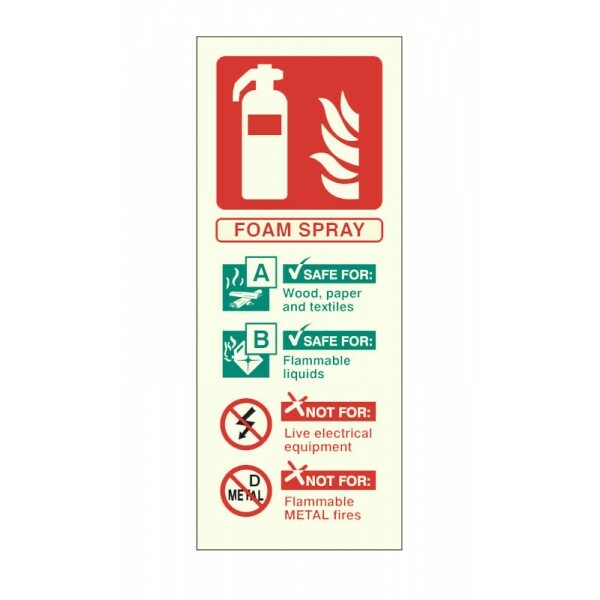 AFFF Foam extinguishers can be used on wood, paper, textiles and flammable liquid fires however they should not be used on live electrical fires or flammable metal fires. Many members of the public do not know which fire extinguishers can be used on which type of fire, that's why using this sign is extremely important. 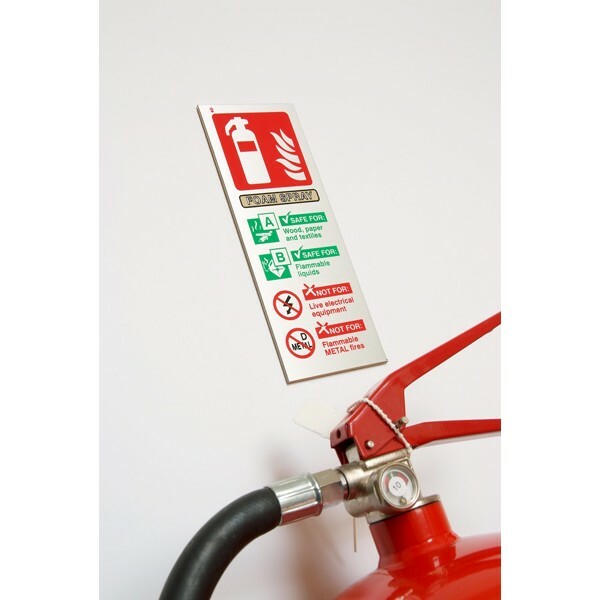 Under the Regulatory Reform - Fire Safety Order 2005 any non-automatic fire fighting equipment should be identified with an appropriate sign. The signs should be positioned and designed in accordance with BS EN ISO 722 to ensure maximum levels of comprehension.